to produce top quality Screw Tip Sets . Sanity International manufactures a wide range of valves to meet the needs of today’s injection moulders. 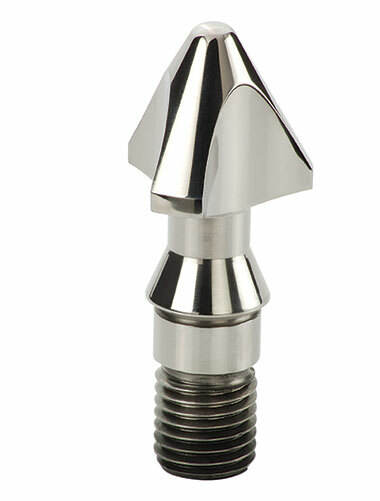 The screw tip valve is one of the key components in the molding process. The ever-widening range of both materials and processes faced by injection moulders, along with the need for increased quality and productivity, makes screw tip valve function Even more of a critical concern. The feed screw rotation moves and melts material that must then flow through the screw tip valve building up forward pressure that forces the screw the key element in a screw tip valve is the flow volume through the valve. Higher flow volumes are generally referred to as Free Flow Designs; many ball check and some hybrid 3 and 4-piece construction designs offer very limited flow areas. Flow volumes are both a function of mechanical limitations and functionality needs. Common designs generally have flow volumes that range from 35 to 75% of the cross section of the feed screws exit or meter area. The flow volume of a screw tip valve is determined by the smallest area of volume available in the unit. On standard ring type valves, this back. The accumulated plastic in front of the valve is then injected into the mold, keeping material from escaping back onto the feed screw, which is the function of the screw tip or non-return valve.Poor valve function results in inconsistencies and inefficiency in the molding process. There are many design and process considerations for proper valve function that should be considered. If you are buying all of your screw tip assemblies from the O.E.M., you are paying too much! Services For Plastics, Inc. screw tip assemblies are made from significantly higher quality tool steels than available through the O.E.M. 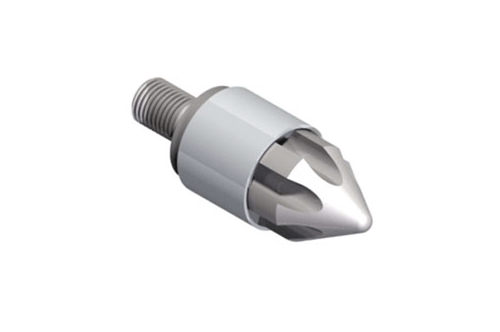 Along with better quality; Sanity provides customized designing of the screw tip assembly to successfully work with your brand of molding machine and type of application. And Sanity offers them at significantly lower prices than the O.E.M. can offer. Sanity screw tip assemblies are the BEST VALUE in the industry! Popular brands we offer. We have thousands of prints available and Stock for the various sizes and model available. We stock a wide variety of brands, plus we also can manufacture any screw tip assembly.Using your sample tip assembly, your print or a print from our extensive library, we will manufacture a screw tip assembly to match your specific requirements. Services For Plastics,Inc screw tip assemblies are available in a wide variety of tool steels to match your application. Our Main Development in manufacturing of different kind of steel and various design as mentioned below. A good high strength hardened and nitrided Alloy steel which is machined, and ground dimensionally, than nitride hardened for 72 hours for good and general purpose plastic use. A good high strength pre-hardened tool steel which is machined, thruhardened, and ground dimensionally, then nitride hardened for 72 hours for better wear resistance. H-13 is tough and can handle pressure and torque. A high carbon/high chrome tool steel with good wear resistance, but low on torque strength.D-2 should only be used with 4-piece designs where the stud is manufactured from 4140, H-13 or another high torque steel. We stock a wide variety of brands, plus we also can manufacture any screw tip assembly.Using your sample tip assembly, your print or a print from our extensive library, we will manufacture a screw tip assembly to match your specific requirements. Services For Plastics,screw tip assemblies are available in a wide variety of tool steels to match your application.